Portland, OR Air Conditioning Services | The Clean Air Act Inc. If you live in the Portland area and need your air conditioner repaired or serviced in any way, give us a call! 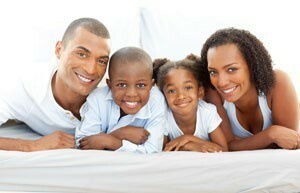 A quality air conditioning system is an important part of any home. Every year, it provides ample cooling for your entire home throughout the summer, so it must be properly sized, well maintained and in good enough condition before the cooling season starts. Call the Portland, OR air conditioning specialists at The Clean Air Act Inc. for all of your cooling service needs. Once you have an air conditioning system installed in your home, it is important that your system remains in top working condition. If there is a problem, you want to know that an AC service specialist will be there to fix it as quickly as possible. 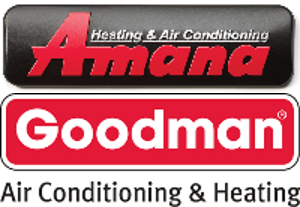 Our Portland air conditioning technicians are factory–trained for top brands including Amana and Goodman. Give us a call to schedule air conditioning services in Portland, OR and the surrounding area or request a free estimate. The first step you will take when having a new central air conditioner installed in your Portland area home is ensuring it is the right size and that it will provide ample cooling for your home throughout the summer. We, therefore, start by performing a comprehensive load calculation of your home. During this process, we inspect your home’s existing cooling components, measure the square footage of the space that will be cooled and check your ductwork, air handler and other ventilation components to ensure they are sufficient for a new cooling system. Because our home audits are so comprehensive, you won’t be paying extra for a system that is too big to fit your home’s needs or so small that it needs to work on overdrive. The next step is to select a model that matches the efficiency you need. Air conditioners are rated on the SEER scale. The higher the number, the more efficient the system and the less energy you will consume. Higher systems do cost more money, however, so it is important to balance the two: installation cost and ongoing operational costs. We can help you determine which size and efficiency system best matches those particular needs. Regardless of what type of central air conditioning system you decide to buy, it is important that it is well maintained from the start. The Clean Air Act Inc. has been providing air conditioning installation services in Portland, OR for many years and can ensure that your AC unit or HVAC system remains in top working condition year after year for decades to come. A good air conditioner is an investment, so you want to take care of it! When you call The Clean Air Act Inc. for air conditioning maintenance services in the Portland area, we will make sure that your system is clean and tuned–up for long–lasting performance and efficiency. Take a look at our maintenance plan to learn more about your air conditioning service options, or give us a call! We’re proud to say our technicians are trained to work with Amana Air Conditioners and Amana Heat Pumps.